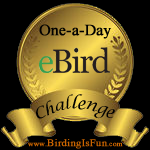 This entry was posted in Alberta Birds, Birding, Feathers on Friday, Field Sketches, Spring and tagged Feathers on Friday, Horned Larks. Bookmark the permalink. Really like the first shot. You can even see the little “horns”. Fabulous – love that you can see the horns, even in the second shot if you look really carefully – an elderly birding friend of mine who recently passed away, always told me that horned larks were the real first sign of spring. I’ve never seen them though I look and look so I’m pleased to have your photo to get a better idea of what to look for. 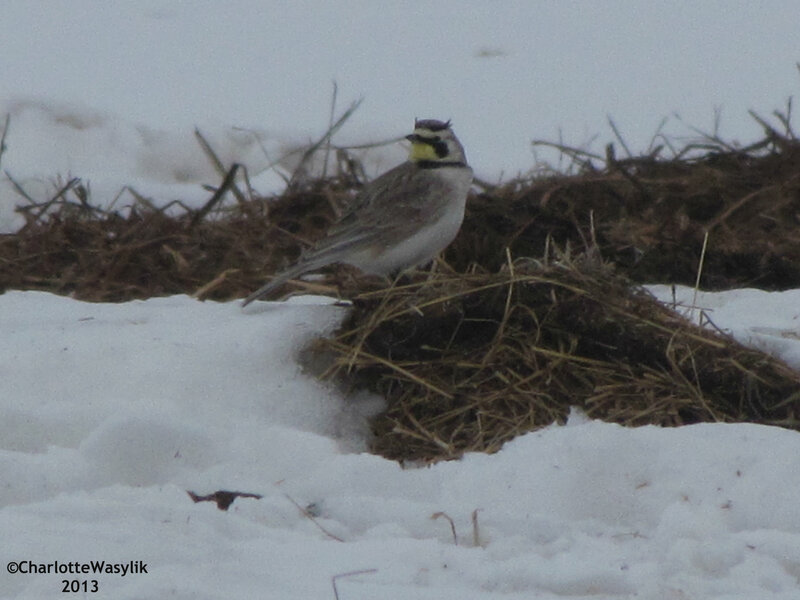 Even way down here in northeast Tennessee, Horned Larks are one of our earliest non-cavity nesting passerines. The young have a very thick downy coat that keeps them warm. Some pairs are probably sitting on eggs now. Yes, they are a great sign of spring! I hope you see some soon, they are very cool birds. I seem to remember from a past discussion on AlbertaBird a few years back that there are 9 subspecies of Horned Lark in W Canada. I feel sure Sibley has a thread somewhere on his website? Thanks some much for the link, Bob. 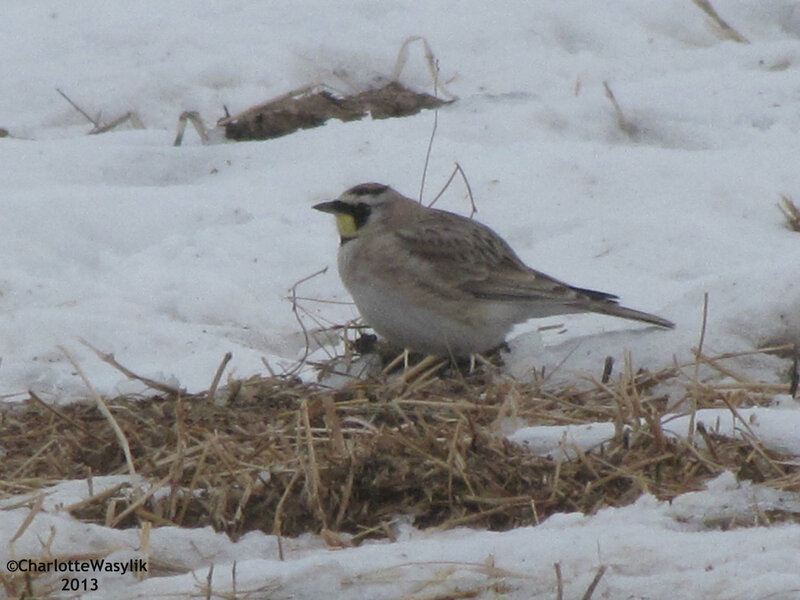 The Horned Lark are cool birds, great sightings! Love that you were able to capture the “horns” raised Charlotte! I was very happy to get some good photos of the larks. Fantastic job of capturing those horns, Charlotte! Very cool birds!